During the visit of Hon. Malaysian Prime Mnister to India, Vatsaa Energy signed preliminary agreements to expand floating solar business to Malaysia. 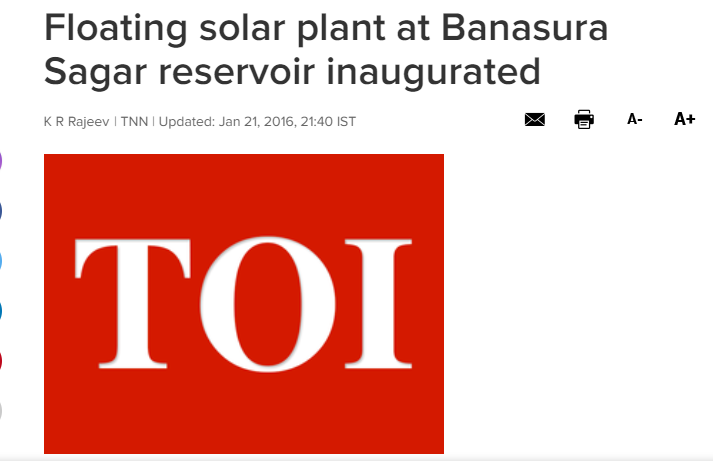 Vatsaa Energy's First Floating solar power plant commissioned in Kerala in 2016 January.